There’s a superstition, particularly in the South, that eating black-eyed peas on New Year’s Eve will bring good luck. 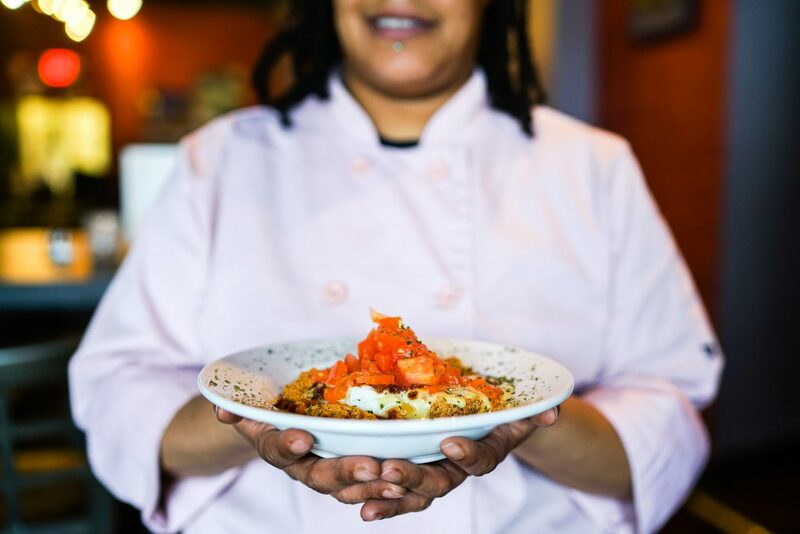 So at the dawning of 2018, Dianna Watson, the head chef at Crafted in Tower Grove East, decided to add her favorite version of them to the menu: black-eyed-pea fritters. Her plan was fairly simple: She would boil the black-eyed peas and toss them in a blender with red and green bell peppers, garlic, onion, salt, pepper and corn meal. Then she would fry that mixture into a fritter and finish it with two poached eggs, bacon bits, diced tomatoes, hollandaise sauce and parsley. 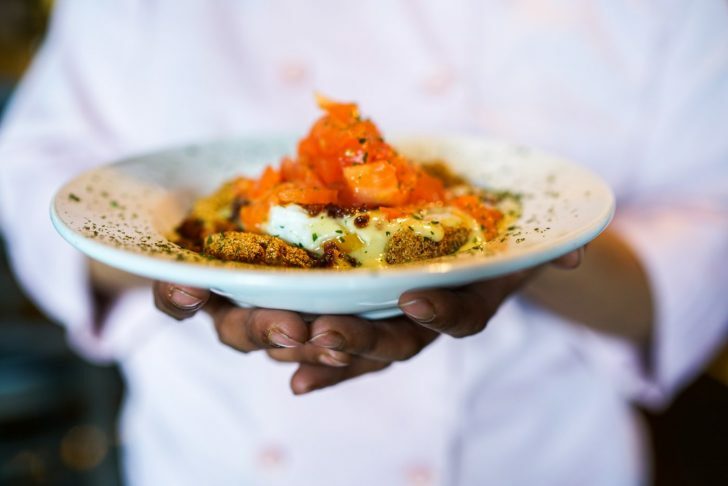 She offered it as a special for the restaurant’s first few Sunday brunches of 2018, and it sold out every time — perhaps a sign of good things to come for what promises to be her first full year as head chef. The chef has certainly had times that weren’t in the middle. A St. Louis native, she started cooking at age five. Her mother had cerebral palsy, along with a movement disorder and limited motor function. “She knew that at some point, she was not going to be able to walk or do anything for me, so she decided to start showing me how to cook at a very young age,” Watson says. When Watson was ten, her mother’s health declined further, so she moved to Kansas City to live with her aunt. Her aunt took her out to eat and urged her to order things she hadn’t tried before: calamari, oxtails, salads with several different types of lettuce. Despite her growing appreciation for cuisine, Watson’s path to the industry was not direct. At one point, she even put in time as a telemarketer. That’s where she met a woman named Candice, and the two started dating. Watson also helped her mother and worked as a home health aide. During training, her supervisor told her she would need to cook for clients. 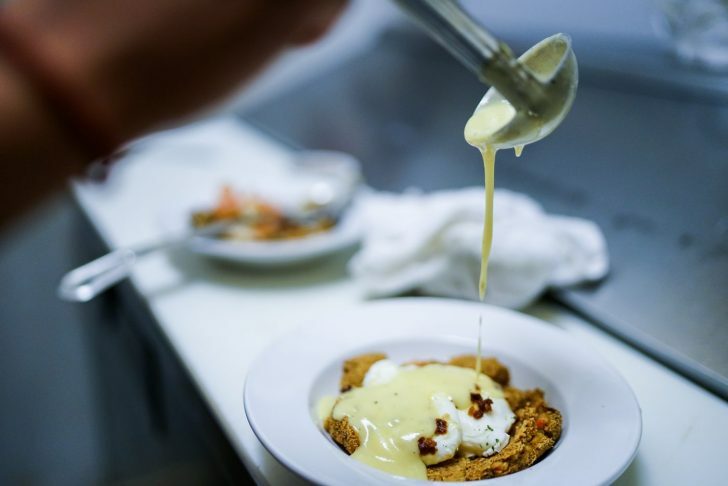 After studying at Le Cordon Bleu, the culinary school in St. Peters that has since closed, Watson honed her skills in a number of local kitchens, including Cafe Manhattan, Brick House Tavern, Scape American Bistro and Mollys. Around the time she started culinary school, she married Candice, who had a son, Xavion. One New Year’s Eve, Candice’s mother, Sharon Henrie, was feeling sick. Henrie suffers from diabetes and couldn’t make the meal she usually does for the holiday: black-eyed peas and cornbread. Xavion, who is now fifteen, was disappointed, so Watson stepped in with the idea for fritters. They were so delicious, they’ve become the new family tradition. 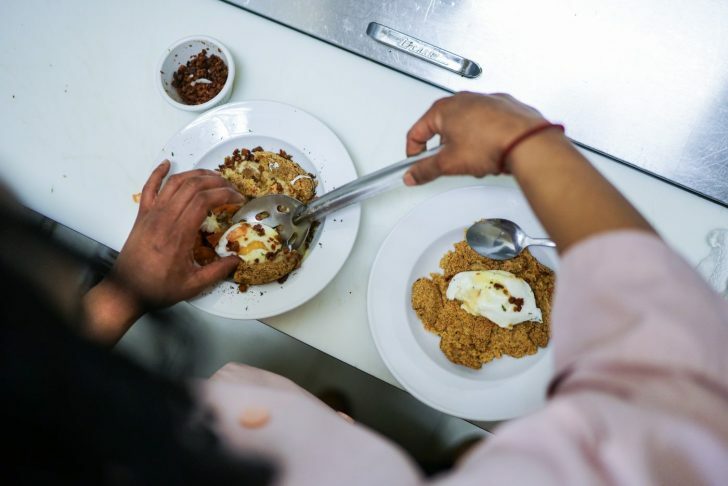 This past New Year’s Eve, Watson had to work at Crafted, where she has served as chef since September. She wasn’t home to eat black-eyed-pea fritters with her son and mother-in-law. But she made some before work and left them for her family to feast on, to their immense delight.